IBM recently filed a patent application for a drone that can function as a mechanized pet-sitter to watch over dogs and cats when their owners are away at work. The pet-sitter drone is similar to a standard drone but it has additional sensors (e.g. cameras, microphone and temperature sensor) and enhanced features (e.g. food dispenser with treats and calorie counter) all of these features are designed to keep a close eye on the pet to ensure they are safe and healthy whilst the owner is away. The camera allows monitoring of the pet’s location (tracking them if they wander off into restricted areas of the house), expressions, sounds and movement and checking for odd behaviours (e.g. scratching, excess panting). The camera can be linked to the owner’s smartphone allowing them to spy on the pet whilst away. The drone’s microphone allows interaction with the pet, telling it off for misbehaving or rewarding good behaviour. The patent application indicates that the drone could interact with internet-connected household items (e.g. thermostats, pet feeders, pet doors and automated pet games) controlling the house temperature, pets calorie intake and access to food and toilet areas. 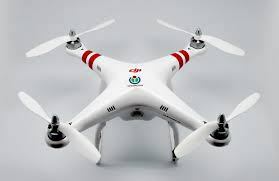 The drone could also initiate a game of fetch launching a ball remotely via an internet controlled pet toy and then reward the ball’s retrieval with treats from the onboard food dispensary. Whilst it is unclear how animals would react to a drone constantly hovering and monitoring them while intermittently issuing commands it is an interesting technological development which could have many positive benefits, not least giving owners peace of mind that their pets are safe and secure.